Hong Kong, August 17, 2016 – CBRE has been appointed by the owner as the sole agent for the disposal of 19/F, No.1 Hung To Road in Kwun Tong. With a gross floor area of approximately 23,619 sq. ft., the estimated market value of the property is circa HK$154 million. The property will be sold by private treaty on a vacant possession basis. The high quality industrial building is conveniently located within a 2-minute walk to the Ngau Tau Kok MTR Station and a 5-minute walk to the Kwun Tong Promenade. The property for sale is extremely spacious, with a high efficiency of approximately 90% and a ceiling height of 3.4m. It is decorated with false ceiling and carpet, helping end-users save considerable setup cost. The property sits on a Class C site, enjoying 360 views of the Kai Tak Cruise Terminal and Victoria Harbour. No. 1 Hung To Road is located at the junction of Hung To Road, Kwun Tong Road and Lai Yip Street, the core center of Kowloon East. Connected to Tsim Sha Tsui, Hong Kong Island and mainland China via the Kwun Tong Bypass and Kwun Tong Road, traffic at this junction is better compared with other locations within the district where traffic congestion is common. “The sale of an entire floor with sea views is rare in the market. 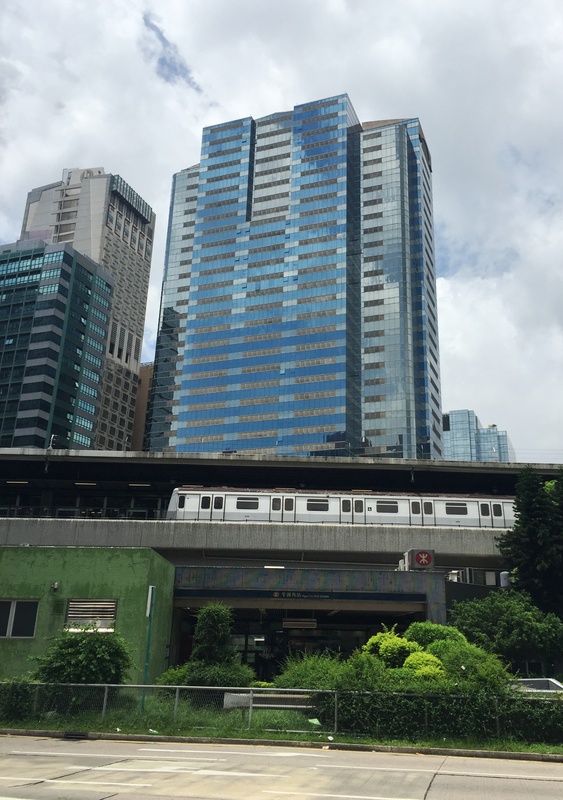 Kowloon East has becomes a second CBD for Hong Kong in recent years, attracting more and more MNCs and investors to lease or invest in the district. A number of brand new commercial buildings have been completed in the area in recent years. Manulife and Citibank have already moved their headquarters to the area. Meanwhile, numerous developers and real estate funds including Wheelock, Nan Fung Group, Link REIT and Mapletree own large-scale projects there. The accommodation value for the last government tender in the area reached HK$6,600 per sq. ft., a positive sign for the capital value of properties in the area. Four commercial sites are currently under construction, which is a strong driving force to energize the Kowloon East district as well as turn the area into a crucial business zone.” said Jerry Yuen, Associate Director, Investment Properties, CBRE Hong Kong. “The industrial sales market has been overwhelming recently. For example, the unit prices of W688 developed by SHKP and The Agora developed by Rykadan Capital Limited range from HK$8,000 to HK$10,000 per sq. ft. A number of large deals within the district were also recorded: the whole floor of 25/F of Fun Tower, No. 35 Hung To Road was sold at HK$8,375 per sq. ft.; while the whole floor of 29/F of Nanyang Plaza, No. 57 Hung To Road was sold at HK$8,475 per sq. ft. With the unique qualities of the property and its pricing, we expect the disposal of the whole floor of 19/F, No. 1 Hung To Road will attract investors and corporations looking for new headquarters,” Yuen continued. For sales details, please contact Jerry Yuen, Associate Director, Investment Properties, CBRE Hong Kong, at (852) 9383 0249.